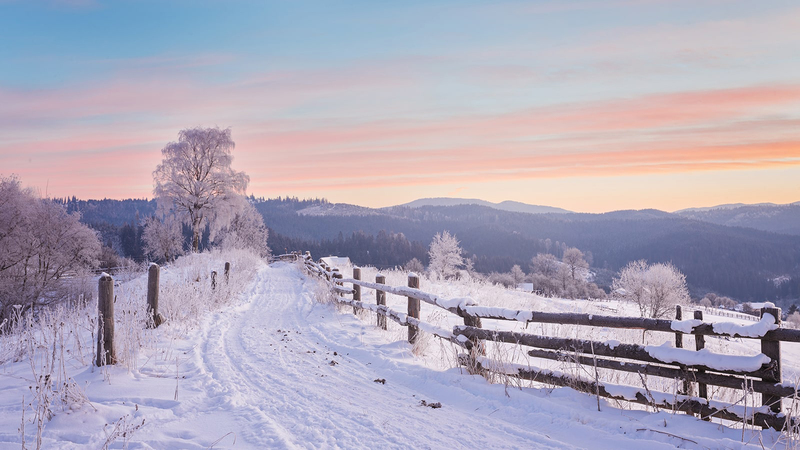 Read these classic and contemporary poems about the coldest season from Robert Frost, Gillian Clarke, Edgar Allen Poe and more. Winter is a starkly beautiful season. With frosty mornings, bright, crisp days and powdery snow it's easy to see how it has inspired poets throughout history. Here, we've curated a selection of classic and contemporary poems about the coldest season from Robert Frost, Gillian Clarke, Edgar Allen Poe and more. Appears in A Poem for Every Night of the Year, edited by Allie Esiri. the day a psaltery of light. and voices wondering where we are. over the holy child iconed in gold. filling our tracks with stars. Read the full poem in A Poem for Every Day of the Year, edited by Allie Esiri. With snowfall where no snow is falling now. Because it snows, because it burns. all her darkness light at the one time. Appears in the Poems of Thomas Hardy, Macmillan Collector's Library edition. It isn't mine to give. yet sings of it on land. When He comes to reign. Sign up to the Friday Poem for a poem, every Friday, straight to your inbox.